Nice house, great location! Close to everything, this home is located on the border of O’Fallon & St. Peters, in desirable Ft. Zumwalt South high school district. 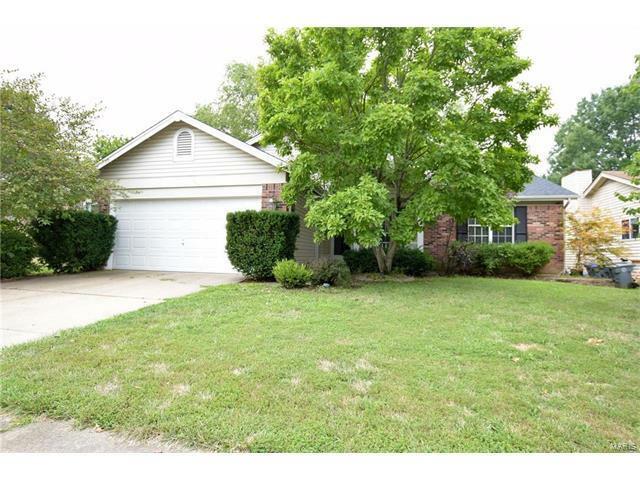 Spacious ranch with 3 bedrooms, 2 full baths, a partially finished basement, and 2 car garage. You’ll love the open feel with vaulted ceilings and 2 skylights for plenty of natural light. The great room features a gas fire place, great for those chilly winter nights. There’s also a bay window, and French doors leading to the patio and fully fenced level yard. The kitchen features laminate flooring, white cabinets, and bi-fold doors leading to the dining/living room. The spacious master bedroom has vaulted ceiling, large closet, and full master bath with separate tub & shower and double bowl vanity. The lower level is partially finished, adding even more living space. The neighborhood even has a clubhouse and pool, perfect for hot summer days. Hurry and see this home today!